"...this year, I think more highly of Ferrari than I have since the days of Gerhard Berger and Jean Alesi in the mid-’90s - even if they hardly ever won anything back then". My immediate response was, "So do I! But why?" The answer is pretty obvious, of course - it's that Mickey the Shoe character again. He deserves credit for transforming Ferrari into a highly efficient and successful machine (and it was he who insisted on Ross Brawn being taken on, remember) but he also introduced aspects that polarized attitudes and must have been difficult even for Ferrari fans to gloss over. Michael's recourse to dubious tactics in pursuit of victory has been discussed so often before that there is no need to resurrect the issue again, but the FIA's apparent favouritism towards the team must also play a part in my dislike of Ferrari. That the FIA should be that way is quite understandable. Ferrari is very important to F1; for many years it has been the sole bulwark against the sport becoming a totally British affair and its history makes it an icon in the minds of anyone who loves motor sport. 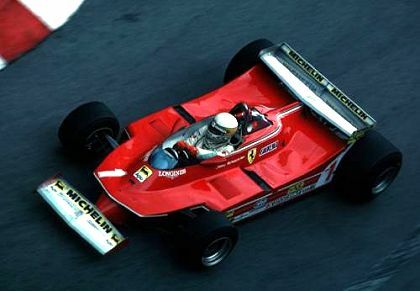 The fact that it won no championships for years after Jody Scheckter's in 1979 was bound to create a concern that the team might be forced to give up unless it tasted success soon. It would be no surprise, therefore, if the FIA were to have given a little quiet assistance during the lean years; understandable, yes, but still an affront to anyone who considers that the governing body of a sport should be above all preference for one participant or another. It did not help either that the leaning towards Ferrari seemed to continue even after the team began a long run of huge success. I believe that dominance in the sport is a recipe for a large section of the fanbase turning against a team. When races become drearily predictable and the only debate centers on who will come second or third, F1 fans get restless and start to blame the team that does all the winning. I suffered from that effect when McLaren were on top (15 wins in a 16-race season? That's not competition!) and again with Ferrari in the Schumacher years. Had Alonso continued with a Renault team that produced a winning car year after year, the same would have happened to them; there were already signs of a slump in Alonso's popularity after his second championship. But now things seem to be changing. With Montezemolo's Italianization of Ferrari, there are signs already of a decrease in their competitiveness, of a return to those years when they were so gloriously Italian indeed. They may not have been winners in those years but they were always in with a shout and the constant internal bickering and confusion made them so entertaining. Back then they were almost cuddly in their appeal and it was easy to hope for a revival in their fortunes on the track. So Ferrari may not win the championship this year but that is not necessarily a bad thing for them. They will become that much more likable and, ignoring whatever happens in the Stepneygate affair, will gather more fans to their collective bosom. They may not like that, of course, and would probably prefer to carry on winning regardless of how people feel about it. But it would at least make it easier for us to forgive them their failings. It is a rather unfortunate element of human behaviour that we don't seem able to applaud the people who win "too much", nor do we direct our dissatisfaction at the people who deserve it, ie those who can't keep up - instead we direct it at the people who are winning everything which doesn't really make any sense! It's not confined to motorsport, the same happened with the likes of Steve Davis and Stephen Hendry in snooker, and Manchester United, Celtic etc in football. The FIA seemingly favouring Ferrari doesn't help encouraging the fans to like them much either - noone likes it when there doesn't seem to be a level playing field and I think that's something which may alter fan's impression of Lewis Hamilton. Maybe not in this country so much, but if it appears that the FIA are doing all in their power to ensure that he ends up with the World Championship this year then I would imagine it will affect how fans view his success - I know in the past that Schumacher had a helping hand or two which tainted his victories somewhat. I don't know if the FIA really are deliberately favouring certain drivers and teams but they must surely be aware of how it looks from the outside. As for Ferrari, Schumacher went there with the sole aim of winning championships with them - his job wasn't really to entertain the viewing public by having a teammate which would rival him. With that aim in mind, his time there was a huge success and I think that will be remembered in the future, even though it wasn't too enjoyable to watch at the time! Like Steve Davis, everyone thought it was boring when he won all the time but now that he's come down a peg or two he has become a fan favourite! All good points, Craig, and the fallout from the McLaren pit stop has already made cracks appear, not only in Hamilton's image, but also his fanbase. I see people gravitating to one pole or another with very few opinions in between. You are certainly correct about Michael Schumacher too - it's been less than a year since he stopped racing yet now he is regarded with perhaps more awe than ever before. Like him or loathe him, he was very good at what he did and he will become one of the grand old statesmen of F1 in future years.